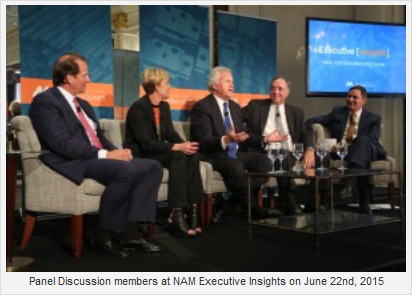 Last month I had the opportunity to attend the NAM (North American Manufacturing) Executive Insight Series in New York. This is the sixth event in a series of meetings with top manufacturing executives. The meetings move around the US and are held every few months. The series is a forum that offers an opportunity to participate in a unique conversation with CEOs of the top manufacturing companies in the world today.